John Broster, Inventor of system for removal of speech impediments. Sitter in 2 portraits. William Blackwood (1776-1834), Bookseller and publisher. Artist associated with 4 portraits. Archibald Constable & Co (active 1774-1827), Bookseller, stationer and publisher. Artist associated with 4 portraits. 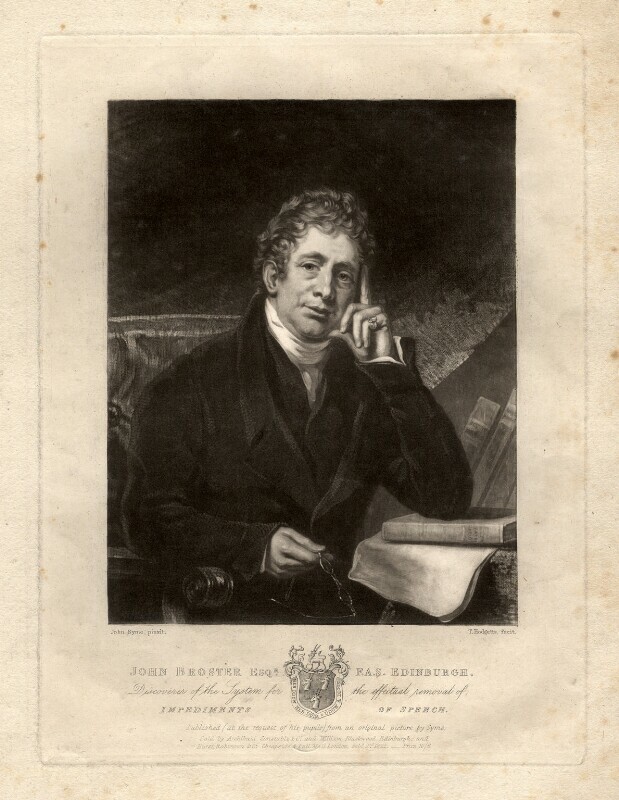 Thomas Hodgetts (circa 1781-1858), Painter and engraver. Artist associated with 76 portraits. John Syme (1795-1861), Portrait painter. Artist associated with 4 portraits.